Late last year I wrote about how great luxury candles are. I was consumed by Diptyque euphoria, after seeing them in my fashionable godmother’s house, daydreaming. Burning them, I was transported to a flowery French apartment. But, at $60 a pop, they didn’t come cheap. I have always deplored low-quality candles. They’re greasy and burn unevenly. They usually smell like lavender developed in a factory. 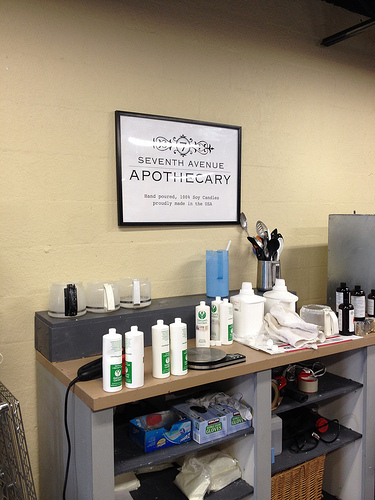 Recently I came across Seventh Avenue Apothecary‘s candles at the Oxford Exchange. Mingling with celebrities like Dean & Deluca and Cire Trudon, I found this humble, attractively-priced line’s scents…and loved them! This week I visited SAA and had an enlightening conversation with one of its founders, Erin Grossman. Like me, she is a Tampa native and dedicated creative who was bored with 9-to-5 work. 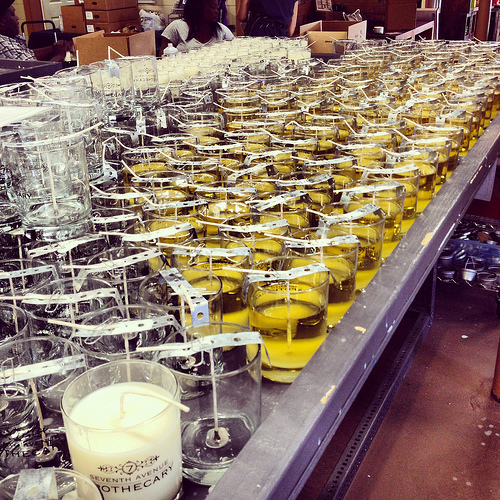 Her knowledge and attention to detail on all things candle creation is endless; her business confidence is inspiring. 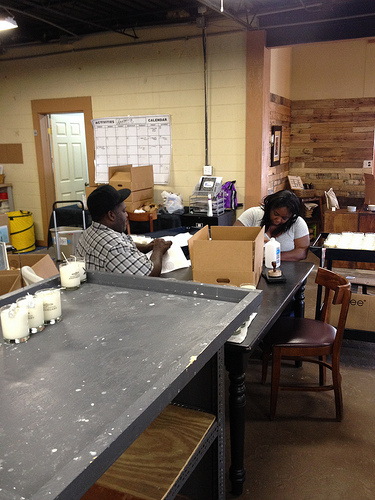 In their historic Ybor City warehouse, they brainstorm, mix, and hand-pour soy wax candles. The scents touch on some of Tampa’s best traditions – like Tobacco & Mint (cigars), Spiced Rum & Coconut (Gasparilla), and Valencia Orange & Grapefruit (common backyard trees here). The soy they use is American-grown and environmentally sustainable, and entirely edible (it is food grade!). The eleven ounce glass container is weighty enough to reuse as a pen, toothbrush, whatever -holder once the candle is enjoyed. They source all their materials domestically, for an authentic ‘made in USA’ label. It should really have “made with love” on it too. For $25, you can’t really go wrong. 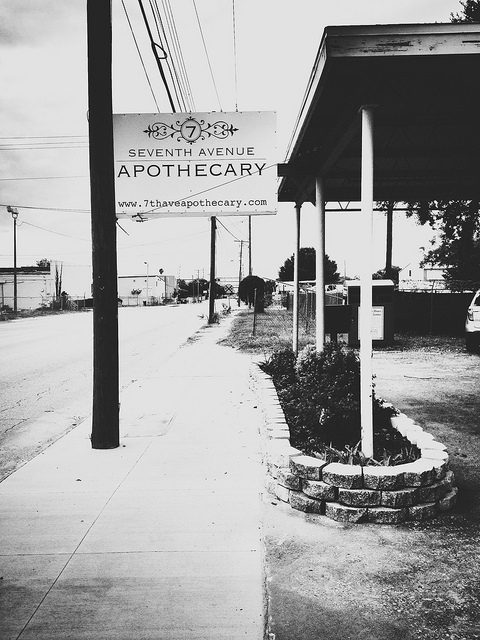 Most candles you’ll find in the strip malls of America are made with dyed paraffin wax, which is sourced from petroleum, and when burned, releases hydrocarbons into the atmosphere…and your living room. Another likely carcinogen we unknowingly surround ourselves with. Candles also come in a smaller tin size for travel or gift! 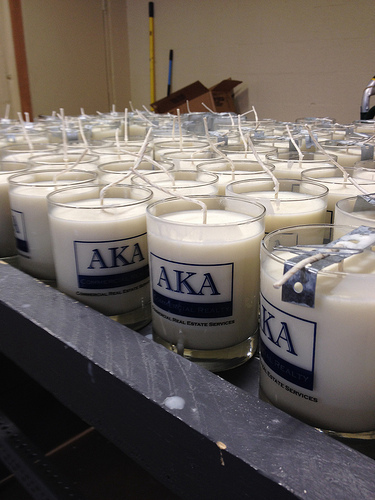 In addition to numerous standard scents, SAA takes custom orders. A minimum of 300 must be purchased, but you can have anything you want silk-screened on the side of your order, and the unique scent possibilities are endless. Talk to Erin and her team for details, but she’s already working with clients like The Junior League, AKA Commercial Realty, and Enchanteria, a South Tampa spa. 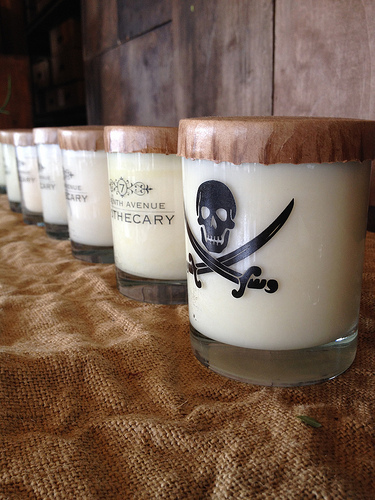 Think of the potential for your birthday party, business promotion… I want to get Remarqed branded candles made! 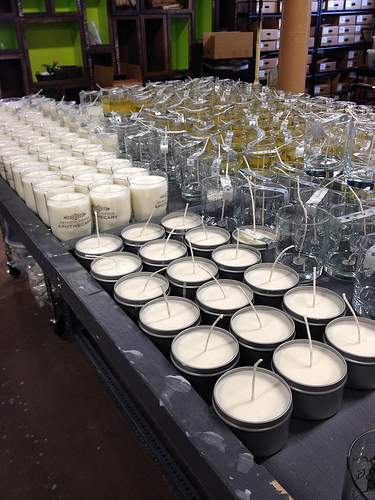 SAA was organically dreamt up and grown over 18 months; the candles are now carried all over the country at finer stores. You can shop online, find them at The Oxford Exchange or TeBella, or give them as gifts or party favors, and design your own candle. So, do yourself (/the local economy, /your gift recipients, /worthy female small business owners) a favor this year and only buy one of these candles.